If you're looking for a low-fat recipe, this isn't it. My sister found a recipe for Bacon Cheese Dip online and made it at a gathering. I liked it so well that I've made it a couple times since. 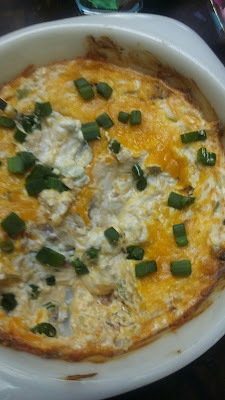 In a large bowl, mix together sour cream, cream cheese, 2 cups cheddar cheese, bacon, spring onions, salt and pepper. Transfer to a baking dish, sprinkle with remaining cheese and cover with foil. Bake for 20 minutes then remove foil and let sit for 5 minutes. 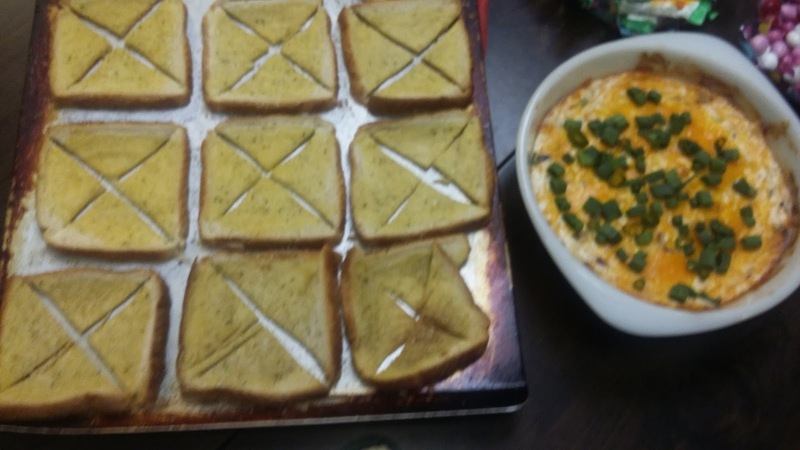 Serve with garlic bread, toast, or crackers. This sound delicious and easy to make. The thing I like most about it is that I usually have most of the ingredients on hand. Ooh looks like a great party item to have on hand! Thanks for sharing. Who needs low-fat when this recipe is on-hand? It looks so yummy. Yummy! This would be perfect for our Superbowl spread! This sounds so good! I love a good dip! This sounds yummy, it would be great for a birthday party. this looks wonderful. i'd like to try it.